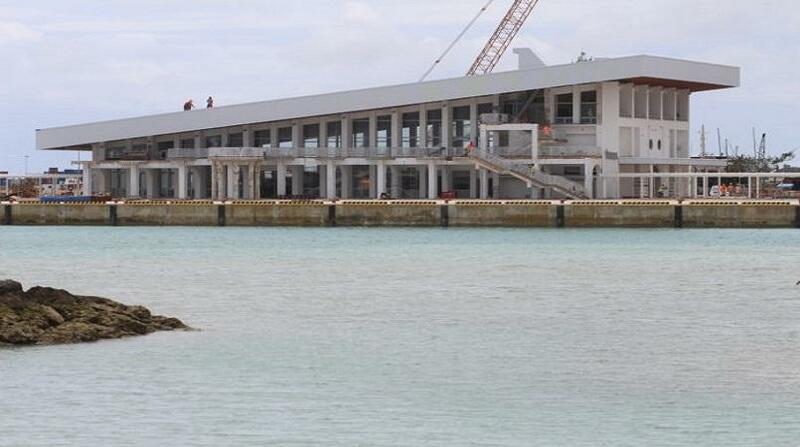 King Tupou VI has named Tonga’s new domestic wharf after his father late King Taufa’āhau Tupou IV. The naming has been revealed this morning while a letter from His Majesty was read to Members of Parliament in a soft opening ceremony to open the Legislative Assembly 2018. As Kaniva News reported earlier this morning, work on the new multimillion wharf is nearly complete. TOA Construction is expected to hand over the wharf at the end of the month. Work on the Japanese-funded $TP66 million project is now concentrating on marking parking bays and pathways and landscaping. This is expected to be completed by January 13. The new wharf is expected to be opened by the king. The domestic wharf was now separate from the International wharf known as Queen Sālote wharf and the Cruise ship wharf known as Vuna wharf. The wharf building was designed to resist earthquakes, tsunamis and cyclones. The foundations are above sea level to cope with rise in ocean levels. The wharf facilities were designed to help ships use less fuel during berthing. 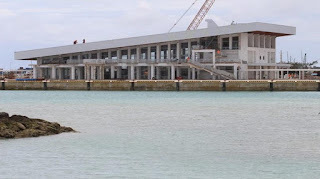 The project, being constructed on the western side of Queen Sālote Wharf, includes two ship berthing areas with each having a length of 90 metres and a three story terminal building.